It’s more simple here and we’d like to keep it simple. Reset expectations for the “aha! experience” (read our Off the Grid page). Know where your garbage is going. Don’t buy products that aren’t easily composted and don’t put them in a plastic bag. Remember we’re care takers of our environment. Do everything as though it matters; it does. LIGHT & WATER Set out your solar light in the daytime so you have light at night. Shower when the water is hot from the sun. Drink solar distilled/purified water. Use a sarong for a towel instead of a heavy towel requiring Big Quantities of energy to dry. EAT Help pick fresh live organic vegetables for meals. Eat what you dish-up, compost waste, wash your simple dishes. ENGAGE Listen to the wild-n-crazy frogs at night. Watch the stars from your balcony. 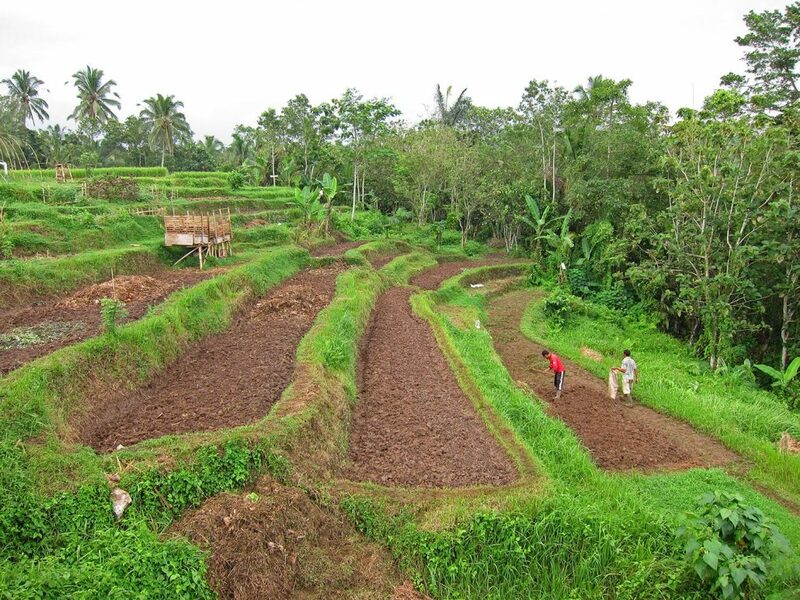 Walk the jungle path or rice fields or subak channels in the day. Awaken to surrender in a walking-meditation in the labyrinth. DISENGAGE Read, write, sleep, ponder, pray, meditate, take some really deep breaths. 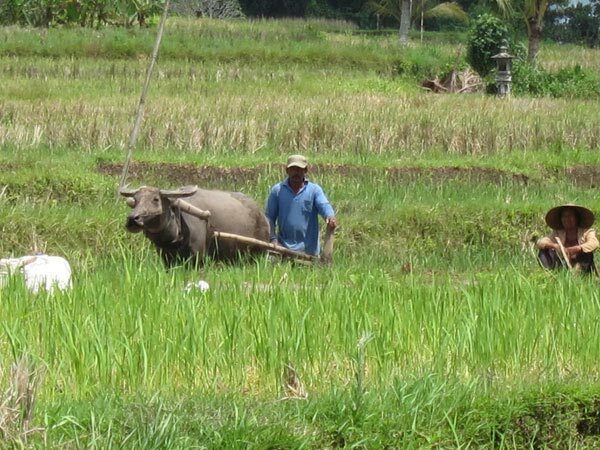 DON’T think for even a second about buying Balinese land . . . leave it to the Balinese and the glory of rice. GARBAGE We know where our garbage goes. It’s recycled or composted or burned. Our gray water goes to the garden and our black water goes to the teak forest. We have worm farms and fish ponds. Any grease from the kitchen goes to the village pigs. It’s all full circle. 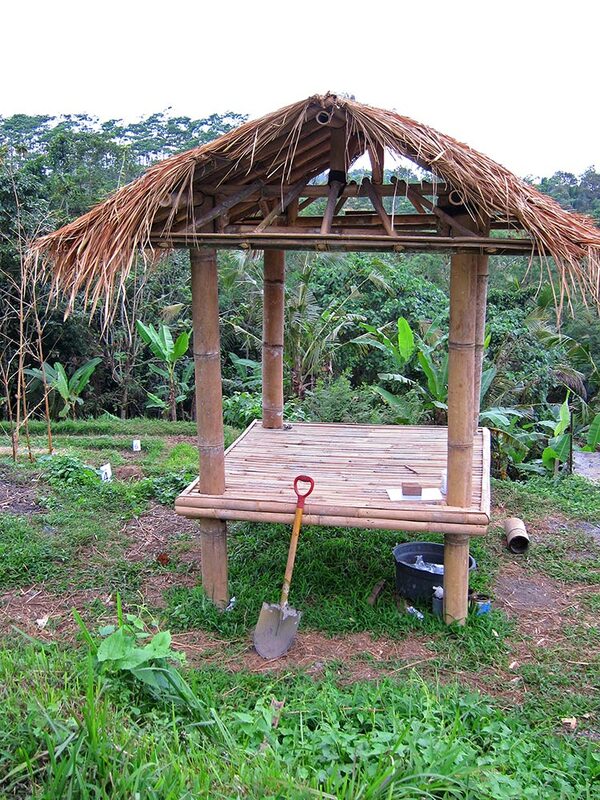 Building a bamboo hut for the garden crew built with materials from the land. Check out the video below. 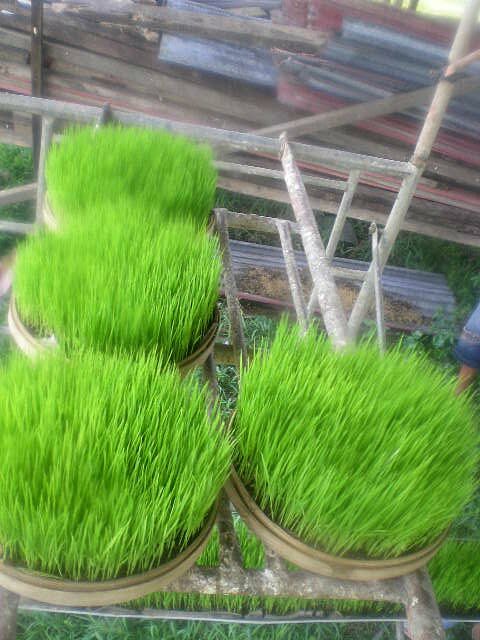 Volunteers planting with dry rice farming – SRI – techniques. 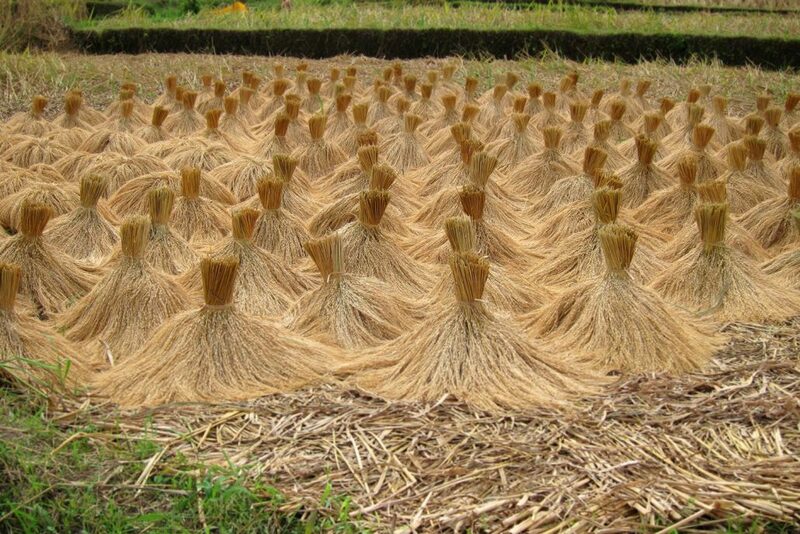 Watch Balinese Rice Planting video below.